Nothing beats the warmth of alpaca wool around your feet on those cold nights in. 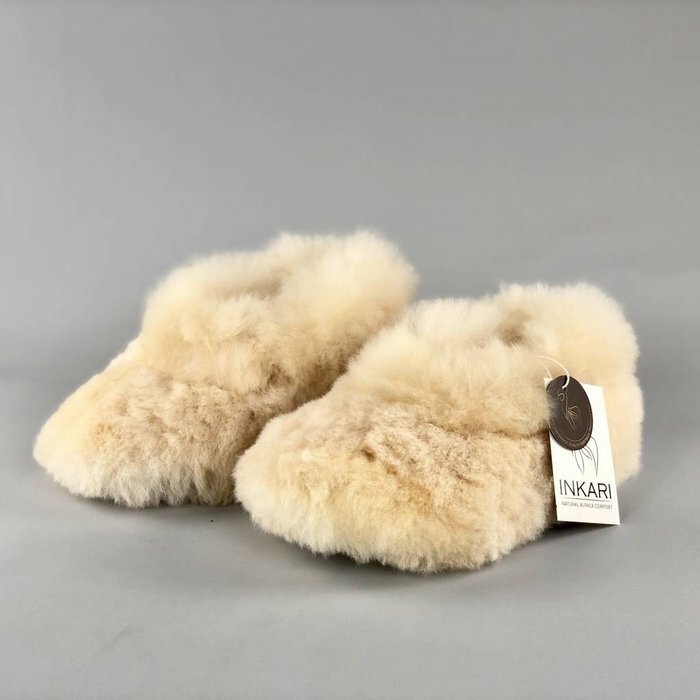 Our fluffy slippers will make sure that your feet never have to feel cold again! As alpacas live high in the Peruvian mountains, they are used to both extremely high and extremely low temperatures This means that their wool is highly insulating, but also breathable. Your skin will be able to breathe through the fluff! By purchasing our fairtrade slippers, you are supporting farmers in the highlands of Peru by contributing to their fair income.